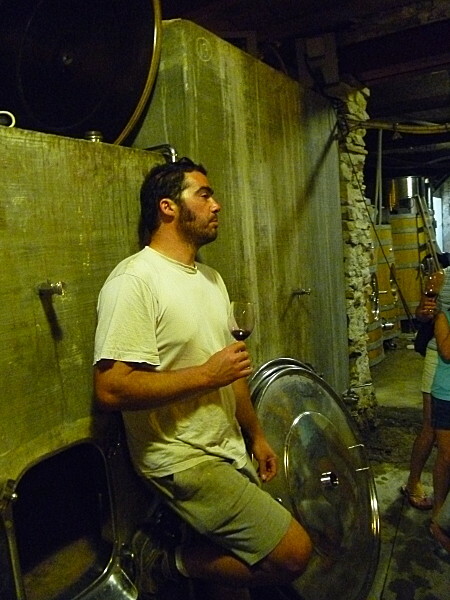 Olivier Pithon has been involved with wine from a very early age. His Grandfather was a vine grower in Anjou and when Olivier was four, his big brother, the famed Jo Pithon, settled on the hillsides of Layon. After learning his craft in Bordeaux where he was taught "the sensitivity to how wines can become pleasure, balance and lightness", Olivier settled down in the village of Calce, where he met with Gerard Gauby. Olivier's wines are inspired. 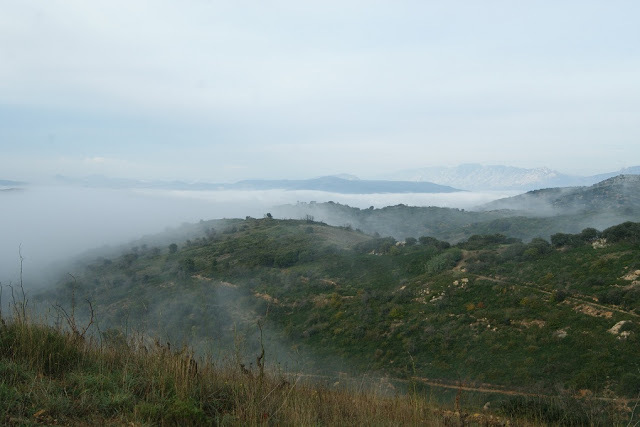 They achieve a balance between character and nature that has to be the envy of all wine makers. His goal is to make the wine as good as possible by getting as much out of the soil as he can, whilst respecting the environment and considering the problem of leaving to generations to come healthy soil. Calce (calcar) is a unique village between the Mediterranean, the Pyrénées and the Corbières. 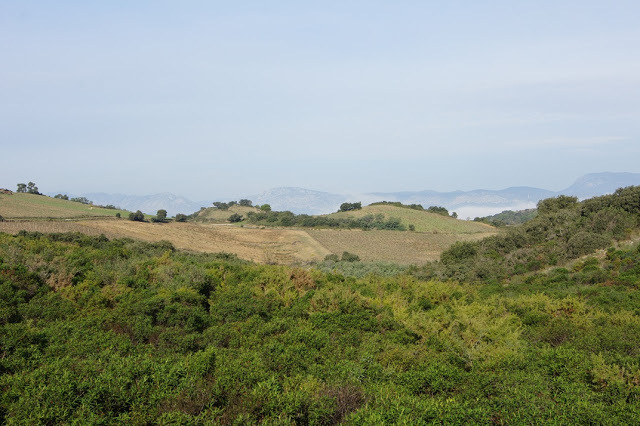 Located at a 300 meters’ height, the vines are situated on terroir of limestone and schist. 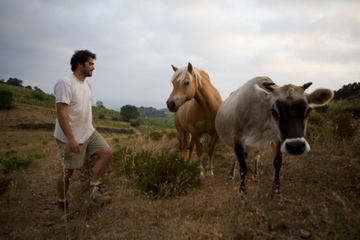 Olivier is an adept of Biodynamic farming and as little intervention during the wine-making. 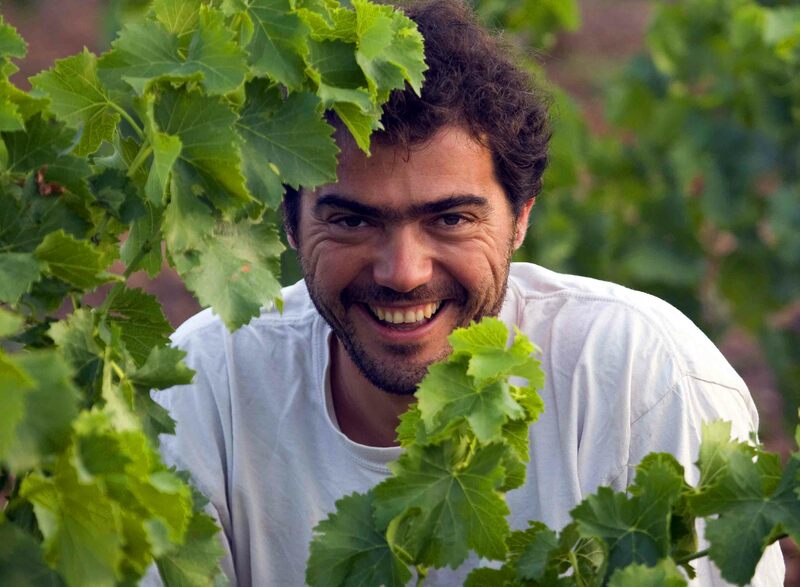 From the ground to the bottle, Olivier Pithon is focused on one simple rule: making wines the most naturally possible and in the respect of the environment. Which means that not only without any chemicals but also with the environmental cycle as natural as possible, including the use of cows, bees and sowing. Click Here to know more about the estate. Wine with great freshness to be shared casually between friends. The simple pleasures of life, to enjoy good food and drink with friends summarize this cuvee. 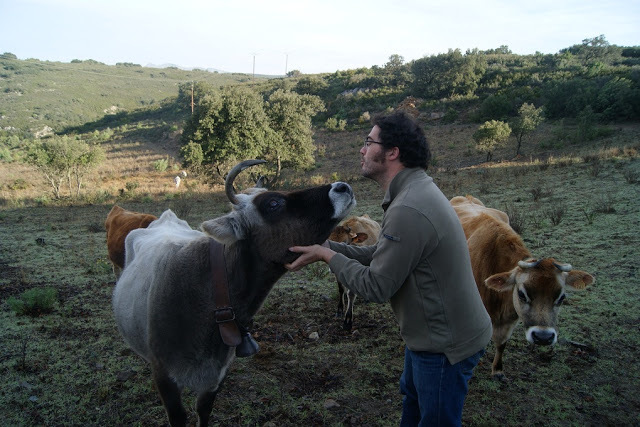 ‘Lais’ is the name of Olivier’s cow, a species from Northern France living in Catalonia. It sums up the wine: Freshness and vivacity from the north with richness from the south. 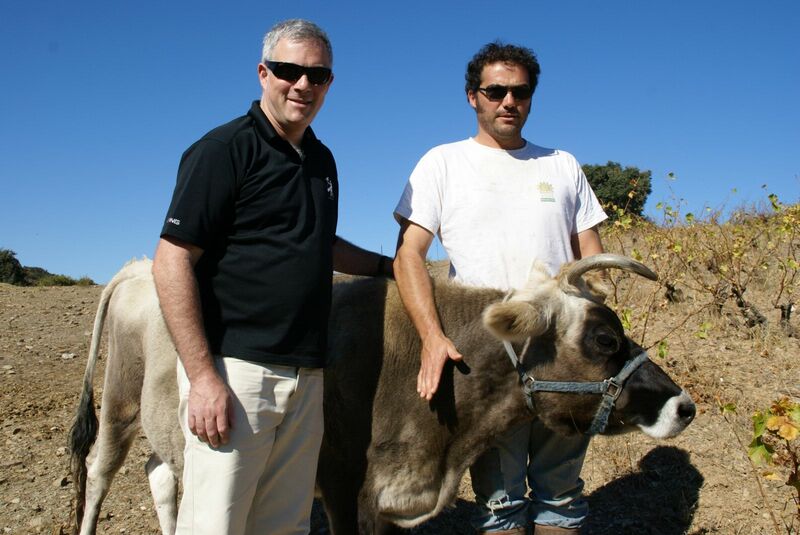 Cuvee named after Olivier’s cow, Lais. This red wine combines fresh fruits, richness and elegance. This bottle is an amazing combination of richness and frechness that will sruprise many of you ! One of the moste grand scale wine of Roussillon ! 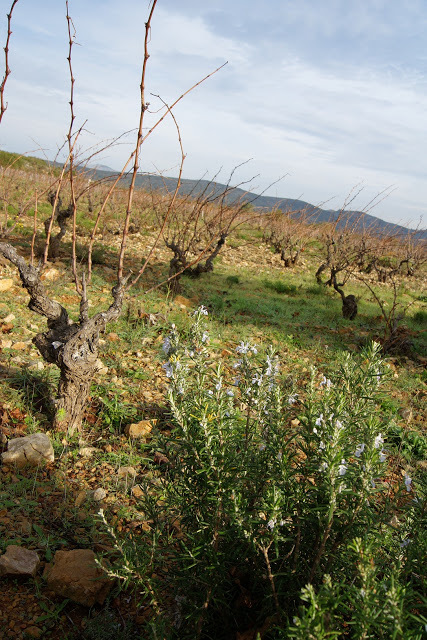 Single parcel, 100 years old Carignan on limestone soil. Smoothness, freshness, finesse: One of the best expressions in France of this noble grape. A new cuvee from Olivier. A single parcel wine made from old vines of Macabeu. Elegant, pure and with great tension. 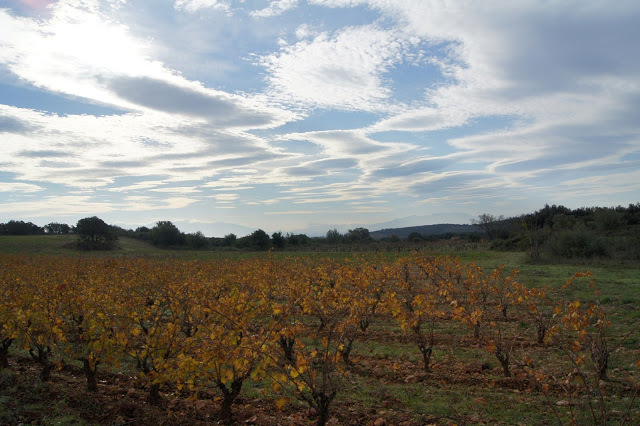 The greatest white wine from Roussillon?